سواءً كنت مسافراً بغرض السياحة أو العمل، Mantra on Northbourne Hotel هو خيار عظيم للإقامة خلال زيارتك للمدينة. يمكن من هنا للضيوف الاستمتاع بسهولة الوصول إلى كل ما تقدمه هذه المدينة النابضة بالحياة. كما يمكن الوصول بسهولة إلى عدة معالم سياحية قريبة. إن الخدمات التي يقدمها Mantra on Northbourne Hotel تضمن للنزلاء إقامة مريحة. يقدم الفندق فرصة للاستمتاع بشريحة واسعة من الخدمات بما فيها: خدمة الغرف على مدار الساعة, مكتب الاستقبال على مدار الساعة, تسجيل وصول/خروج سريع, تخزين الأمتعة, صف السيارات . 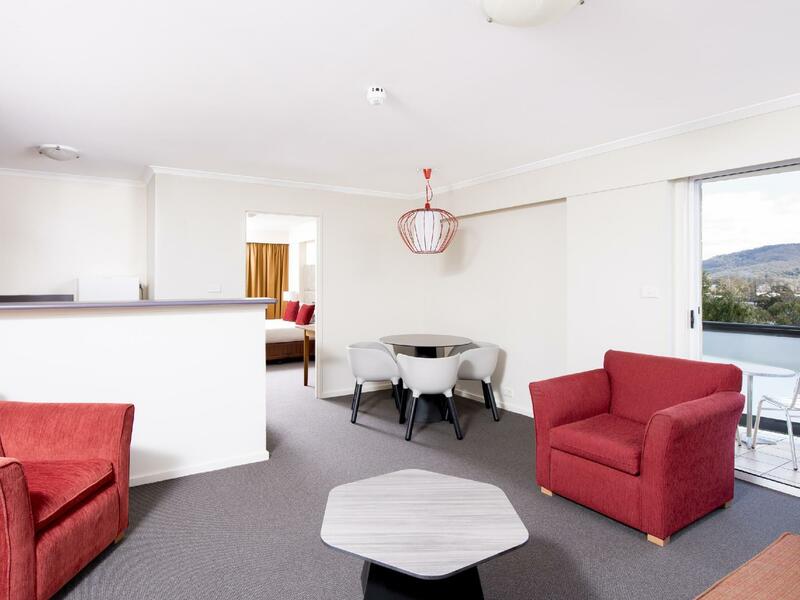 تنعكس أجواء Mantra on Northbourne Hotel في غرف الضيوف.تلفزيون بشاشة مسطحة, غرف لغير المدخنين, مكيف هواء, تدفئة, مكتب هي بعض الميزات الموجود في العديد من الغرف. إن ساونا, حمام سباحة داخلي, تدليك هو المكان الأمثل في الفندق للاسترخاء وتفريغ طاقتك بعد نهار طويل. إن Mantra on Northbourne Hotel هو خيارك لخدمة الفنادق الراقية في المدينة. We booked a family room for 1 night with displayed a 50% discount and the only silver lining was that I did not book it for the full amount. The parking is paid, not totally clear while booking, the pool is closed for renovation, breakfast is very ordinary, the rooms are old and you could see dirt all around. The bedding is super uncomfortable especially the extra bed. You will surely wake up from back pain. I will not be returning for sure. The only comments I would make is that upon arrival, although I had booked and paid for a 5 night stay, the receptionist greeted me with "so you are staying with us for 4 nights" for which I corrected her and confirmed it was 5 nights and that I had paid for nights. On day 5, when returning back after work, I was locked out of my room. I had also booked in for breakfast for each morning and on the last day, no booking was made and they wanted to charge me the full breakfast rate. I think the locked room and breakfast booking had to do with the fact that she originally thought that I was staying 4 nights. Also make enquiries as to the types of breakfast they offer in the restaurant. They advised of the full buffet breakfast at a discounted price if booked in advance and then on the last day when no booking was made, I was advised there was a hot meal breakfast at a more reduced rate which is what I was eating each day anyway and paying more for the other breakfast options. Close to city centre, minutes walk to restaurants and shopping centre. Spacious room, comfortable bed. The only thing caught me out of surprise is business of their carpark, especially on the weekend, even though you are a hotel guess you still need to pay for the parking, which cost $15 per night. If you get a good price for this hotel, take it. Best hotel in Canberra. The hotel was in a perfect position for visiting the cultural places of interest. 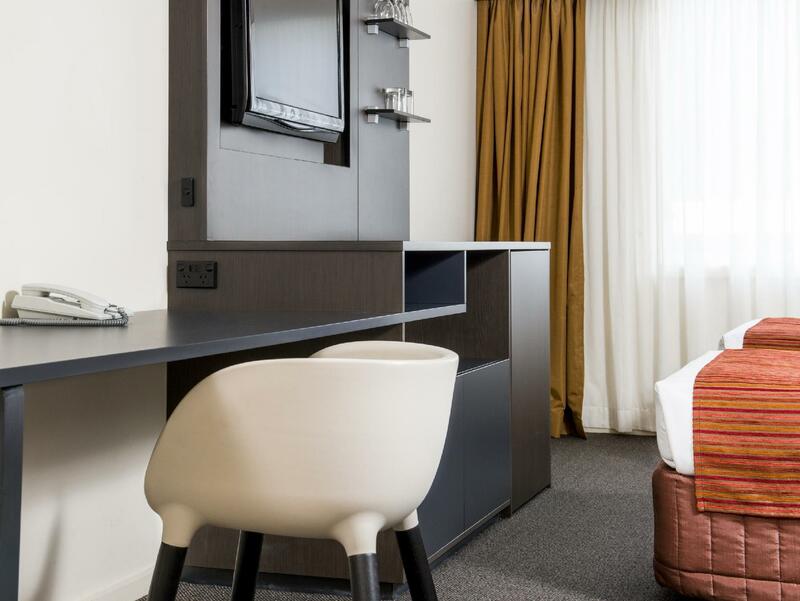 The staff were very welcoming and efficient and the room was spacious and modern. My wife and I enjoyed our stay and slept soundly in an extremely comfortable and spacious bed. In general the accomodation was great. But there is no free water available and if we need to use wifi there will be additional charge. The Hotel is Max. 80th style. Equipment old, used, with technical problems with dishwasher and laundry. Pool in the underground, reachable only via a dirty "emergency escape" stairs lookalike way. Pool itself small and also not looking very well. Parking garage very narrow. 2 nights for 2 adults with parking nearly 500 AUD. Not worth the money. 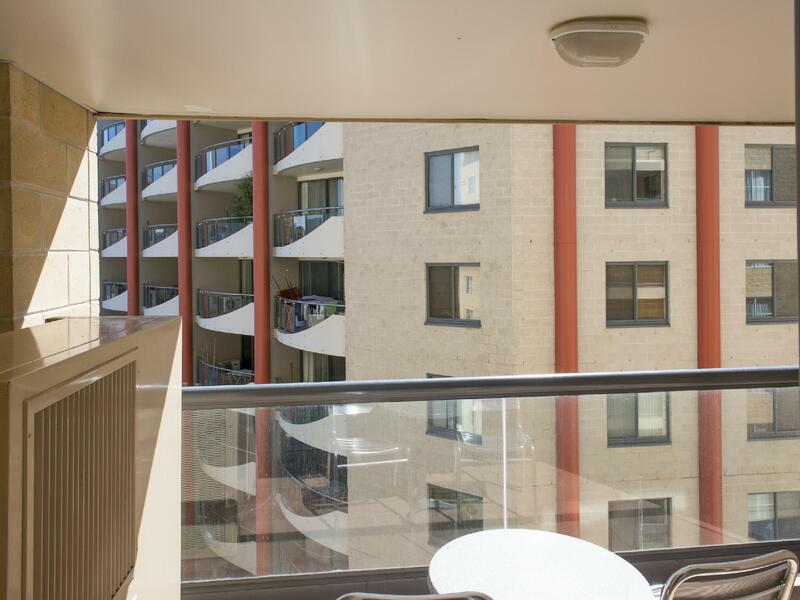 Close to CBD; around corner from Lonsdale Street with excellent restaurants. One bed apt comfortable, good kitchen. Limited service if booked via Agoda which is annoying! Recommended. The young fella who was in the breakfast room at 08.30am and still there for dinner at 9.30pm was a champ. Apparently he doesn't even get paid overtime. I'd be making sure this bloke is taken care of or he'll be snaffled by a bigger chain who'll pay him what he's worth. Lovely stay apart from freezing at night as we could not regulate the temp in the room. Staff were amazing and food ( breakfast buffet) wonderful with a well selected choice of meal. Will return on our next visit. other than the fire alarm going off on the day we were checking out it was a lovely stay. The pillows however were terrible, I hunted for a firmer flatter one that I found in the wardrobe the next day. I suffer from PTSD and the alarm did trigger some anxiety, however, i am glad no chances were taken and the right thing was done. Lovely support too from the desk male help with the packing of the car. Comfortable and spacious 2 bedroom apartment which is ideal for families with kids. Good location. Toiletries smell nice! 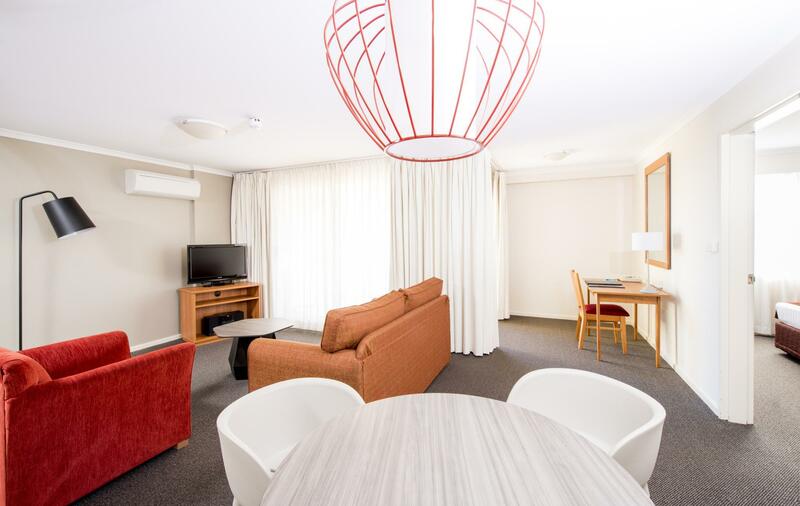 Our family with young kids had a relaxing stay at Mantra in Northbourne. 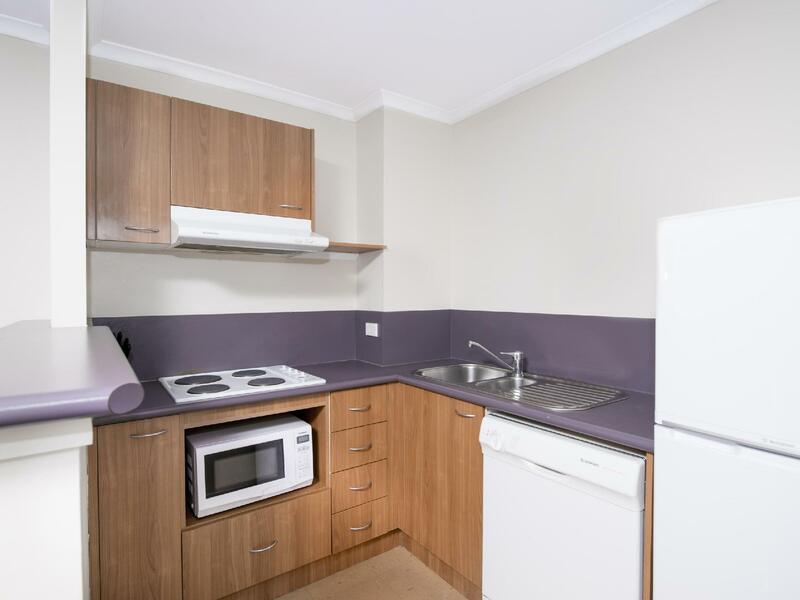 We used the facilities in the 2 bed apartment such as the internal laundry and dryer. The bathtub was useful to bath the kids (the other hotel we stayed at only had showers). Be quick to park at night cause the car park can get full. The room was nicely furnished, with at a terrific, central location. You won't be able to walk to sights such as the war memorial, but it's close enough, and well within walking distance to some very good coffee, food and a micro brewery! The bathrooms, however, were a bit tired looking (but was fine), but I found it strange that there was no bottled water was provided. Yes, I know that Australian tap water is perfectly safe to drink,, but most hotels that I've stayed in have always had complimentary bottles of water. In addition to this, the pillows were terrible, flat and lumpy. tl;dr: Great location, decent hotel that has room for improvement. I was surprised that the room was as big as it was. Disappointed that we didn't know we would have to pay $12 a night extra to park until we got there - this was not mentioned in the booking - but was comped to us when we had to evacuate at 430am for a fire, apparently a regular occurrence! The room was huge. The bathroom had a bath. The windows could be opened. We really enjoyed our stay at Mantra. The room was very luxurious and was a suite of rooms so we felt very pampered. The cocktails we had downstairs in the restaurant were really scrumptious. Nothing was ever too much trouble for the friendly staff who made us feel very special during our stay. We will definitely be hoping to stay there again. Stayed three nights in a one room apartment. Was happy with it. Spacious with all the essential amenities.